Amelia Shaw was elected to the position of AIIA Queensland President in August 2018 having previously been Vice-President. Amelia first became involved with the Institute in 2014 through the Queensland Internship program. 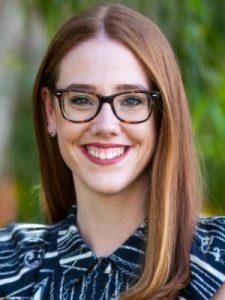 As graduate of the University of Queensland in Business Management (Marketing) and Arts (Political Science and International Relations), Amelia is now on the universities’ Young Alumni Advisory Board. Amelia has previously worked in a variety of marketing and advertising roles prior to her current position at AgForce Queensland Farmers. As a Policy Officer at AgForce, Amelia is responsible for positions relating to Agribusiness, Climate, Drought and Transport issues. Amelia has recently been a delegate for the China Australia Millennial Project of which she was awarded first place.